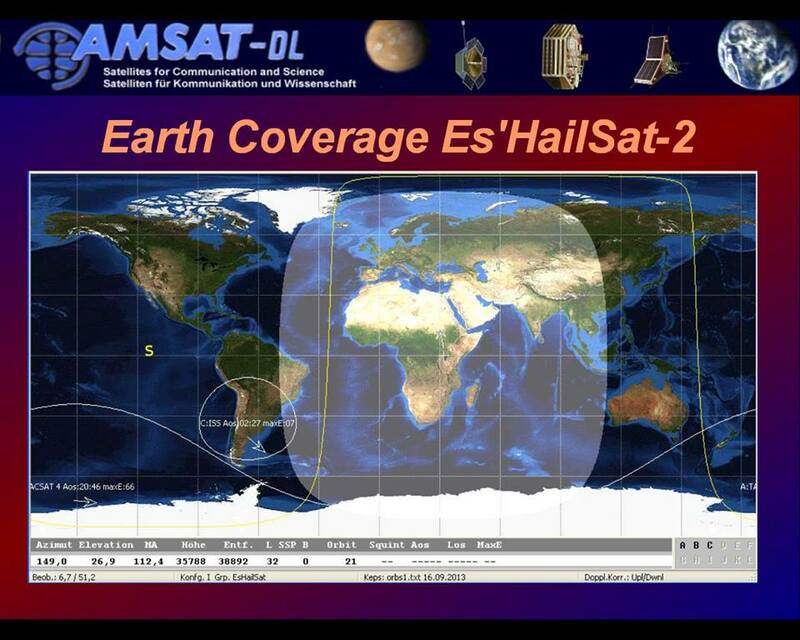 On Saturday, October 14 at 1:45pm BST (1245 GMT) AMSAT-DL President Peter Guelzow DB2OS will give a presentation on the Es’hail-2 Geostationary Satellite Amateur Radio Transponders to the AMSAT-UK International Space Colloquium in Milton Keynes. It is expected the presentation will include a demonstration of the P4A transponder simulator. All attendees are welcome to bring any equipment they have for CW/SSB or DATV for the 2.4 GHz and 10.5 GHz bands. The transponder mimics the real thing: 2400-2410 MHz uplink to 10489.5-10499.5 MHz downlink.